W.A. Spencer Morris is Executive Vice President of Allen Morris Residential. He is responsible for overseeing the company’s $1.2 billion development pipeline. His focus is on strategic planning, acquisitions, as well as structuring and financing mixed-use projects throughout the Southeast. Since joining the firm in 2016, Spencer has acquired and developed key assets in Georgia. 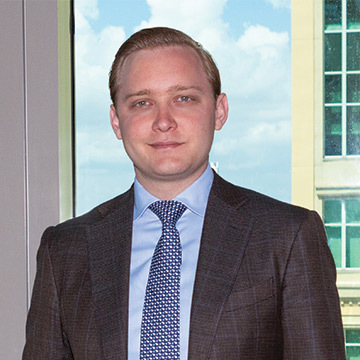 Previously, Spencer served as Assistant Project Manager on the 58-story, 1.3 million square foot SLS LUX-Brickell hotel and condominium as well as on other projects with The Related Group in Miami, Florida. Spencer was born and raised in Coral Gables. He graduated with an International Baccalaureate diploma from The American School in Switzerland. He received his BS Degree in Political Science & Spanish from Boston University.